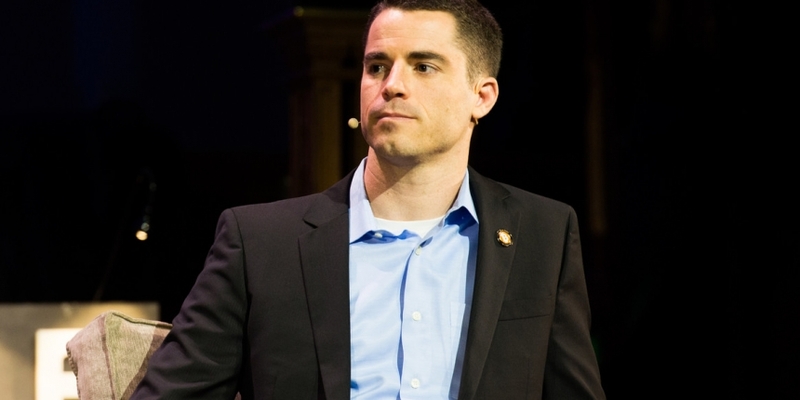 Globetrotting bitcoin entrepreneur Roger Ver just made the largest ever charitable bitcoin donation — a million dollars — after ‘losing’ a bet he made with the world about its rise. The CEO of MemoryDealers and angel investor actually made an initial bet of $10,000 (the value of 1,000 BTC at the time) but recent events have pushed the dollar value into seven figures, setting the record. “A little over two years ago I made a bet for $10,000 that bitcoin would outperform gold, silver, the US stock market and the US dollar by more than one hundred times over the next two years,” he posted in a video message on YouTube. His wager would have sounded crazy to an outsider in late 2011. Even though the bet was with the world in general and not any one (unlucky) individual, Ver said no one offered to bet against him. “One person offered to take the other side after about 85% of the time had already elapsed though,” he said. That someone was still prepared to take the other side as recently as that is a mark of how much the scenery has changed in the past few months. In his video, Ver went on to point out the tens of millions of dollars in investment that has flowed to businesses like BitPay, Coinbase and Blockchain.info as they expand into countries around the world. There are now millions of individual bitcoin users who can now use their digital currency for over 70,000 stores on Shopify, or organize their own trades via LocalBitcoins.com. Ver is one of a fast-growing number of professionals and others whose full-time employment is now based on bitcoin, as it continues to captivate even the non-technology-minded in media, government and the general public. A Silicon Valley native, Ver is known in bitcoin circles as ‘The Bitcoin Jesus’ for his generous and evangelizing ways with digital currency. He started MemoryDealers at the age of 19 and first encountered bitcoin while listening to Free Talk Live. With a clear vision of what bitcoin would become he built it into his business immediately, even putting up a large roadside billboard in June 2011 when bitcoin was largely unknown to the mainstream world. FEE itself is an organization founded in 1946 to promote free market economics, limited government and private property rights. Said to be very pleased with the donation, they are now looking for the best way to securely store $1 million worth of bitcoins. Choosing them as the recipient of his million-dollar donation was no casual decision for Ver, who is well-known for his matching values and has studied economics and moral philosophy from a young age. He stood as a candidate for the Libertarian Party in 2000 for the California State Assembly, promising not to accept a salary if elected. He became even more fervently anti-authoritarian after his passionate debate comments from the campaign saw his business interests aggressively investigated and himself arrested, and he was even eventually imprisoned for 10 months in a federal prison after signing a plea bargain. Though he still travels to the US and flies regularly to visit bitcoin businesses and conferences around the world, Ver now calls Japan his home and runs his business operations from there. He sees bitcoin as a vital tool for removing government control over money and economic activity. “I will proudly continue to promote bitcoin full time because I see it as the best chance the world has ever seen at creating a more peaceful society in which all human interactions are voluntary, and outside groups of people calling themselves the state are no longer able to violently interject themselves into the affairs of others,” the video message concluded.